Download this free and adorable Valentine’s Day Card this holiday for that special someone in your life. Nothing says you care like a personalized, unique card, and this free printable can make that job easy for you! 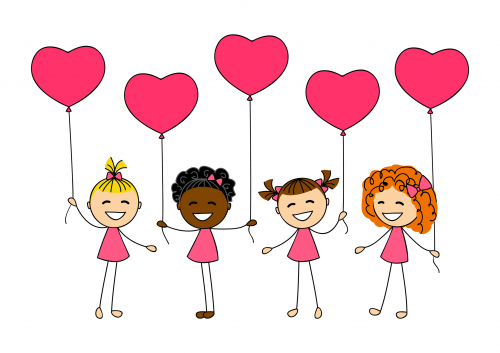 Simply print out this cute image of girls holding heart balloons, and write your valentine a special holiday message.